Available now from Glyn High-Tech Distribution , µOLED-3202X-P1 display graphics modules are available in 2.4" and 2.8" sizes and are all in one intelligent units that use the latest in Active Matrix organic LED (AMOLED) technology. The µOLED-3202X-P1 Series of display graphics modules are compact and cost effective and feature an embedded PICASO-GFX graphics controller that offers ‘stand-alone’ functionality to any project. These display graphics modules also feature a simple to learn and use 4D Graphics Language (4DGL) with vast built in library function to allow rapid application development. 4DGL is a graphics oriented programming language that allows the developer to write applications in a high level syntax, similar to popular languages, and run it directly on the PICASO-GFX processor embedded in the µOLED-3202X-P1 display graphic modules. 4DGL allows the user to take total control of all available resources on that hardware platform, eliminating the need for an external host controller/processor to drive these display graphics modules via serial commands. It provides the user complete control over the hardware module allowing them to quickly develop powerful applications. 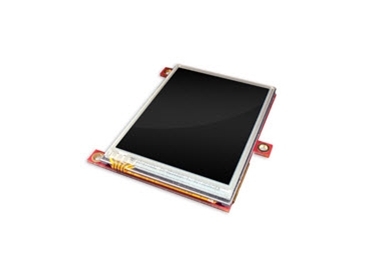 µOLED-3202X-P1 display graphics modules are designed to be integraged into a range of different applications through the wealth of built-in features. These features are designed to facilitate any functionality quickly and cost effectively, thus reducing ‘time to market’. mechanical support via mounting tabs which can be snapped off.